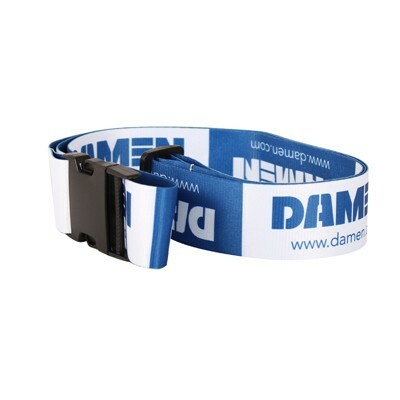 This belt comes in Damen design with the navy/white colour. 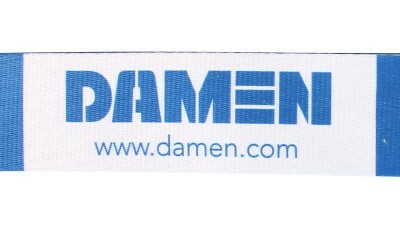 The logo of Damen is imprinted multiple times on the belt. 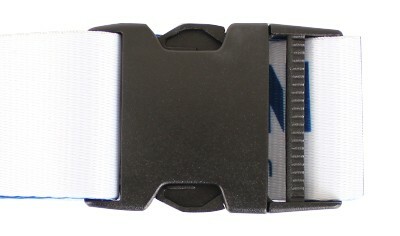 Has a secure buckle closure that ensures security for your luggage. 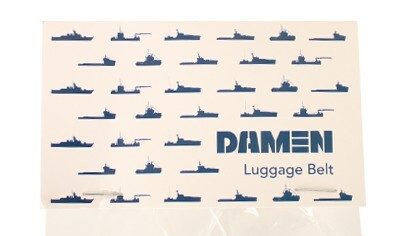 Very useful and durable and keeps the travel happy!